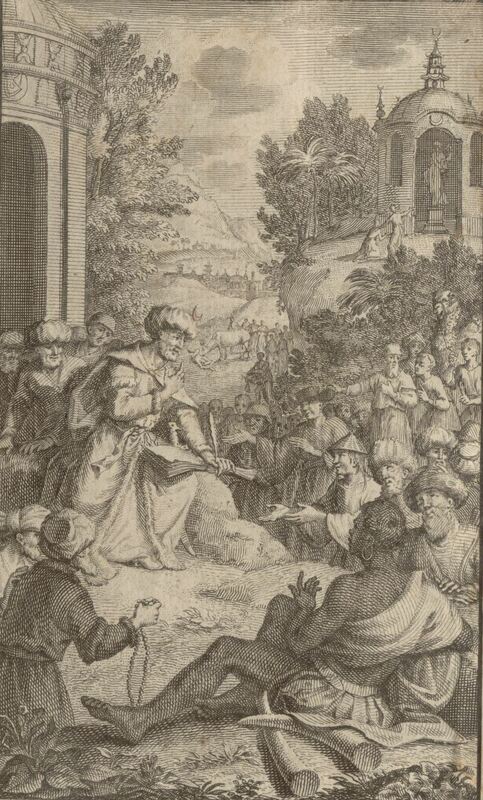 In 1647 André du Ryer, consul of France in Egypt, published a French translation of the Quran. It was the first ever in a modern European language. Only two years later the first ‘pirated’ edition appeared in Amsterdam. More would follow, including a widely published retranslation into Dutch. Du Ryer himself described the Quran as an invention of the ‘false prophet Mahomet’, and many Dutch editions show an image of Muhammad as a dishevelled psychic. However, in the Age of Enlightenment the public adopted a less neurotic approach to Islam. 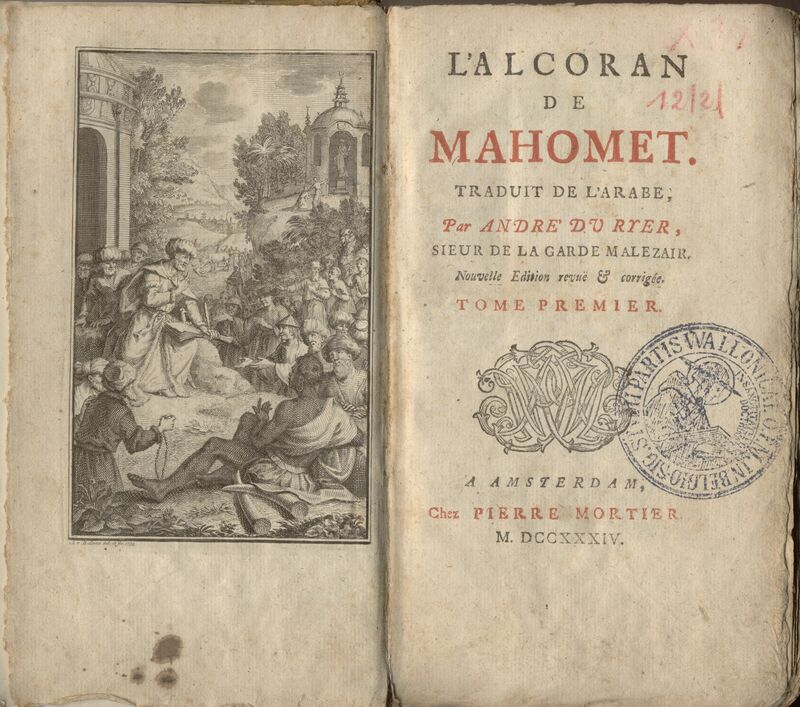 This changing image of Islam is reflected in a newly acquired French translation of Du Ryer, published by Pierre Mortier in Amsterdam (1734). For this edition the engraver Adolf van der Laan (c. 1690-1742) designed a new title page illustration. It shows the Prophet Muhammad as a handsome man in the posture of a wise teacher, surrounded by a little crowd of believers, consisting of Arabs or Turks, Chinese and an African. In the background there are Hindu-like, bareheaded ‘pagans’ in long robes, some of whom are worshipping the statue of a god in a pavilion. A (holy?) cow is nuzzling against a prostrate figure. The image suggests that the pagans are detaching themselves from their own group, attracted as they are by the imposing figure of Muhammad and his teachings.